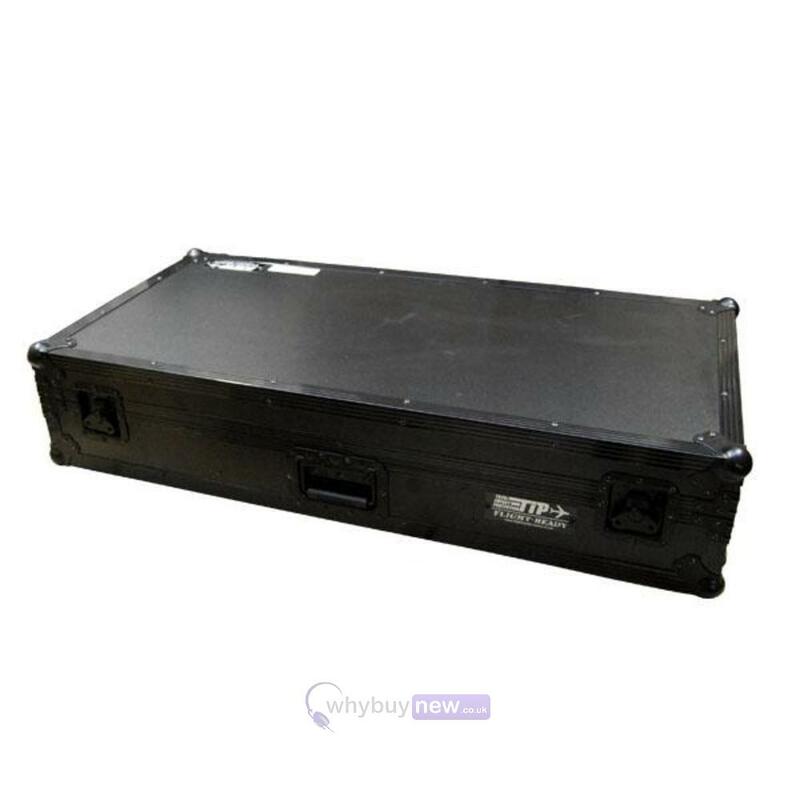 This unique and ultra cool looking Stealth Black Total Impact Coffin Flight Case fits the Pioneer CDJ2000 series DJ CD/Media decks and a 12.5" DJ Mixer such as the Pioneer DJM900 series including the NXS2. 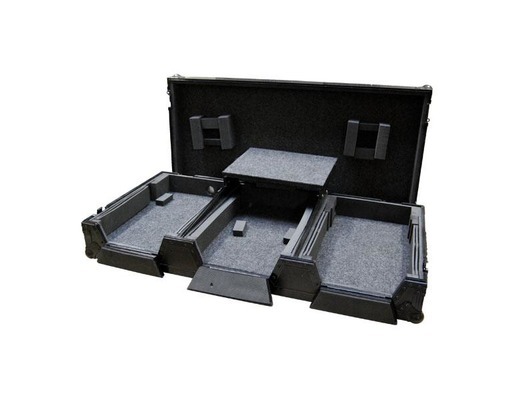 This awesome coffin case features low profile wheels on one end and a neat sliding laptop shelf above the mixer section which can be removed if needed. 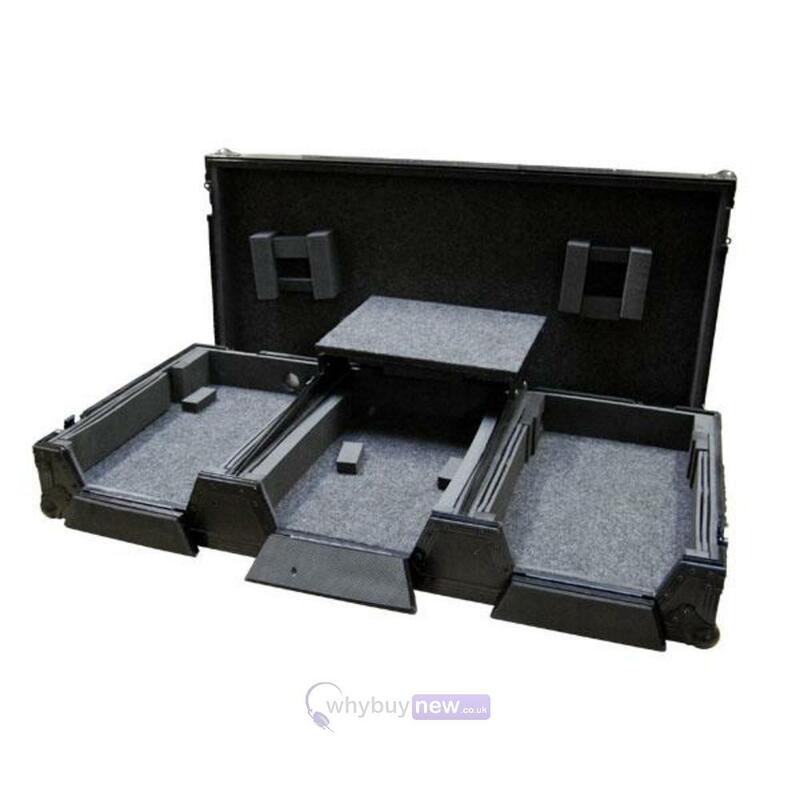 Featuring an all black heavy duty finish, this Total Impact FRCDJ200012MWBLT coffin case will look great in your home or at gigs.